Our Statutory First Aid Kits have been created with Health and Safety Executive regulations in mind so you can trust their contents is fully HSE compliant. 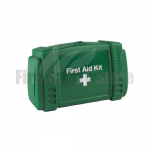 We have a wide range of first aid kits based on your requirements. 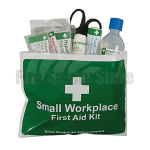 You will find kits for the workplaces or kits for a specific amount of people. 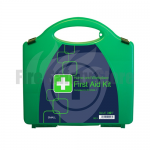 We also have first aid kits in both hard cases and vinyl pouches, to accomdate for different environments. 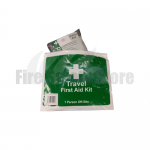 Also available are first aid kits that are ideal to use when travelling and in vehicles. All our kits are of excellent value and easy to use but more importantly, they comply with British Standards as detailed in the product information. For a full listing of contents - simply click on the relevant picture and you will find a list and detailed explanation of the components included in the kit.